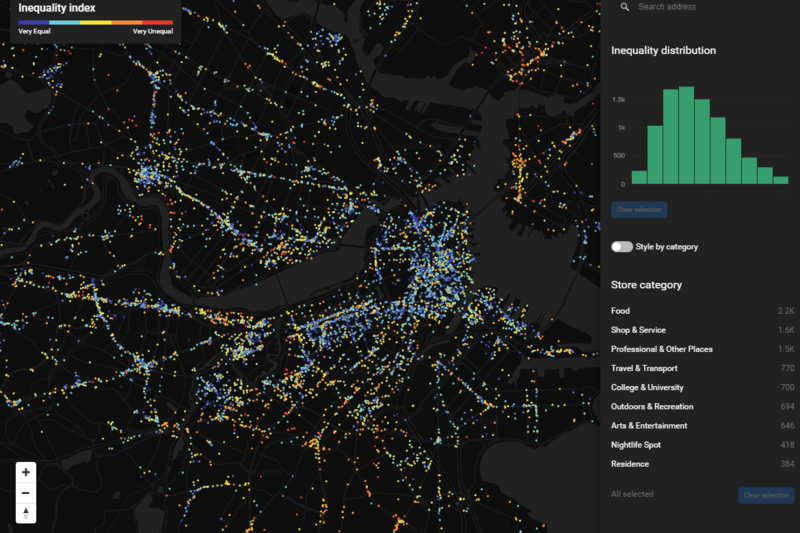 MIT Media Lab, an interdisciplinary research laboratory at the MIT, has developed an interactive data visualization called the “Atlas of Inequality” that maps income segregation in Boston based on locations people visit, including stores, restaurants, and recreational spaces. The visualization uses anonymous location data from 150,000 cellphone users to track where people visit and color codes locations based on the homogeneity of its visitors’ predicted incomes. The visualization shows that places in downtown Boston have high-income diversity, but that locations in East Boston typically have significantly more low-income than high-income visitors.